I was organizing my old photos and came across this. A fun memory from Houston, TX. 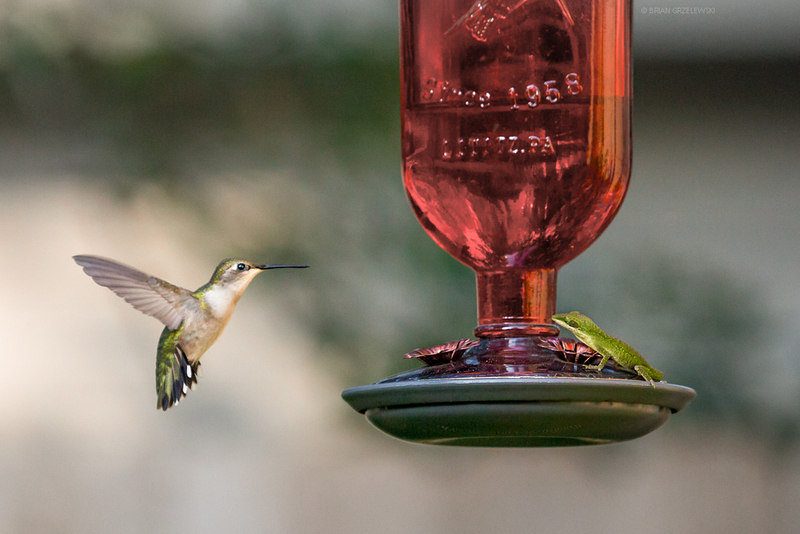 I had a hummingbird feeder out in the backyard hoping to catch pictures of some of those amazingly fast little flyers. Along comes a bold little chameleon. (Okay, Anole, really. But, they are sometimes called American Chameleons). The humming bird returned and didn’t know what to do. He flew all around, looking at the little lizard, assessing the danger. Eventually, he seemed to determine that the lizard wasn’t much of a threat and took a drink before leaving.